Ever since The LEGO Movie hit theaters, the building block toy has been an even bigger sensation than it was before, and we've featured some cool LEGO videos all paying tribute to our favorite films. Of course, LEGO has been a toy brand that has been a huge part of generations of kids and their parents, time and time again. Now a new documentary called simply A LEGO Brickumentary is coming to theaters this summer, narrated by Jason Bateman (who gets his own LEGO minifigure to guide us), to dive into the history, legacy and limitless imagination that the Danish toy group has provided. Looks pretty cool. Watch! 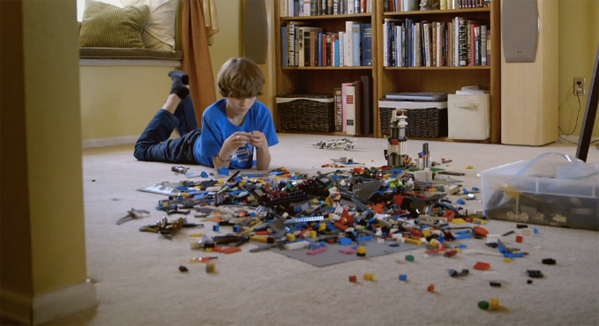 A LEGO Brickumentary (it's no longer "Beyond the Brick") is directed by Oscar-winning filmmaker Daniel Junge (Saving Face) and Oscar-nominated director Kief Davidson (Open Heart). Since the birth of their trademark toy in 1958, The LEGO Group has produced over 400 billion bricks. But more and more, LEGO bricks aren’t just for kids, and some take them very seriously. Adult Fans of LEGO (AFOLs) around the globe are unashamedly declaring their love of the brick while LEGO bricks are being used educationally, therapeutically, and have provided a universal system for creativity. RADiUS releases the doc on July 31st. I love Lego. I even keep some on my desk at work. Can't wait to see this.